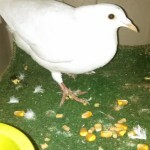 Occasionally I am asked if my birds (Rock Doves/White Homing Pigeons) do not make it home. I would not be honest if I said this never happens. It’s a great big sky out there and my birds are flying in it on any given day. As a farmer (bird breeder), there are going to be some losses naturally as it is a simple known fact that birds are part of the greater food chain, unfortunately. It has also been recorded that in nature birds do not often survive beyond their first year. They experience a very real threat of predators, weather conditions, the elements, sickness, starvation, and human intervention, any of which may contribute to their death. Here in Woodfin, NC where I raise, breed, and train my birds, they are allowed to come and go freely from their loft on any given day unless we have an important ceremony to attend. Allowing them this freedom helps my birds to be healthier and more adept in nature and capable of out-flying their natural predators. On the other hand, being somewhat domesticated, they have the protection and safety of food and housing and a dedicated care taker, me. This does not change the fact that they share the sky with their greatest predator, the hawk. This means that occasionally a bird will be part of the food chain which is something we must learn to accept as farmers. This leads me to share a very special story: On March 9th of this year I was asked to do a graveside service for an elderly woman who had passed away. 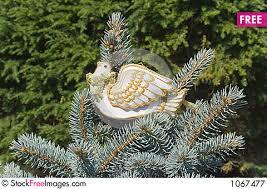 Upon opening the final release basket, as planned, the small white dove who represented the spirit or soul of this beloved woman flew overhead swooping down. From a distance it appeared she had been taken down by a hawk attack. The three other birds released all made there way home safely. This was a very disheartening incident as some members of the family had seen the bird take a fall. Needless to say, I was quite upset, both for my bird and for this family. The hawk attack at a funeral service seldom if ever happens however it did happen this time. 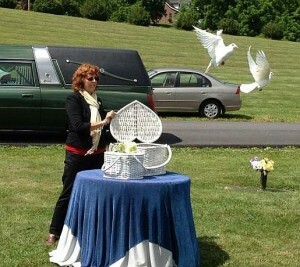 Following the service, my intuition told me to go look for the bird in the cemetery and luckily I found her. As I approached, I saw the hawk was standing on what I thought was a dead bird. Seeing me coming, the hawk took flight. Much to my surprise, I found the dove quite alive but with a serious hole in the front of her chest. I picked her up thinking she would pass before I got home. Oddly enough, she looked quite alert. I drove home thinking that this seriously injured dove would not survive an hour. I put her in a warm safe pet container. Again I was surprised to find her quite alive and alert the next morning. After two days passed, she was eating, drinking water and appeared to be healing. This was a very good sign. Incredibly she had survived and now I suspected she would fully recuperate. At this point, I proceeded to contact the distraught family through the online guest book that Groce Funeral Home provided. 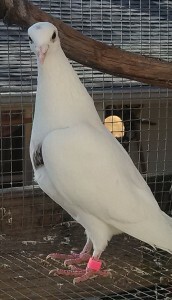 I explained online that the dove who was attacked at Mareta Morgan’s service had indeed survived. About a week later I was contacted by a very appreciative family member, Mareta’s daughter. I told her that I named the dove after her mother who the dove had represented in the service. I felt she somehow became a symbol of Mareta’s tenacity. Ms. Morgan’s family member, Carol, agreed that this was an amazing turn of events. In conclusion I would like to add that this has also been an amazing experience for me. Through the symbolism of this dove and her amazing recovery, this story holds a very special meaning. Maybe it is about trusting my intuition. Maybe it’s about survival. It tells me about the spirit that thrives in spite of all odds. It reminded me to follow my instinct and intuition. I think we can each find our own meaning here. I have found mine.